Kent Discos provide a professional, personalised DJ and event service particularly tailored to you. Dance on the clouds as you take to the dancefloor for your first dance as a married couple. Our dry ice ‘dancing on clouds’ effect is perfect for all venues. Are you planning a white themed Wedding or Party? - our NEW white setup will perfectly compliment your theme! Mood lighting is a great way to add a splash of colour to your event! Create an ambience with your choice of colour to complement or match your theme/event colour. Kent Discos are one of the leading professional mobile entertainment and DJ services for all occasions in the south east of England. 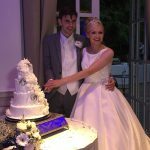 Based in the South East of England; Medway, Kent, We provide our DJ and event services to various events, venues and celebrations in Kent and the surrounding counties including London, Essex, Sussex and Surrey. If you are looking for a DJ for your party then look no further! 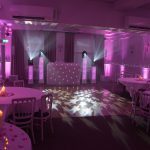 Kent Discos have a vast experience from many years of providing quality entertainment including our mobile disco, photography and other services we continue to supply today. We’ve catered for many types of events from a traditional English Wedding up to an including Bat Mitzvahs, corporate functions, presentations, proms and not forgetting birthdays! 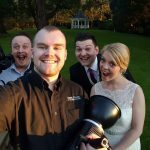 We offer both all day and evening only services ensuring that we are available throughout the entirety of your day, particularly useful for Weddings that would require our services other than just our disco/early setup. Did you know we aren’t just a mobile disco? As well as our mobile disco packages, we also have many extras to further enhance your party or Wedding! Uplighting, Event/Party Photography, Dancefloors, Photobooth, Wedding Photography, and More! Lovley photography, good music, I am happy with how the night turned out - everyone loved it! Booking Kent Discos for our wedding was one of the best choices we made! Jack was professional, friendly and communications with him was excellent. With Jack's help the day ran smoothly and the disco for the reception looked incredible! Thanks to Jack and his team the whole day and evening was fantastic, We highly recommend Kent Discos and will without doubt be using you again in the future. Thank you so much for a great evening. The music was great and so many people commented on how great and fun it was. You completely understood what we wanted. Thank you so much and I will constantly recommend you always. Thank you again!!!! Please also check out our Contact Us page to send us a message! Are you looking for entertainment for your school prom? Kent Discos are offering a fantastic special offer for all school proms in 2016! Click here to see the special offer!